Off the heels of VP Records 40th Anniversary announcement, the label is proud to present Strictly the Best compilations 58 & 59. The two compilations will be released on Friday January 25th. On that day, an event will be held at Usain Bolt Tracks and Records in London with dancehall artist Lisa Mercedes who is featured on Strictly the Best 59 this year. On January 30th, a special live concert at Usain Bolt Tracks and Records, Montego Bay will be held to launch the 40th anniversary of VP Records and celebrate the annual series. The concert will include performances by Alborosie, Beenie Man, Christopher Martin, Shenseea, Teejay, and Raging Fyah as well as guest appearances from some of Reggae music’s biggest stars. “Strictly the Best Live” will be a one of a kind multimedia album launch promotion which includes RETV, TVJ and FAME FM in Jamaica, Radio link ups globally, live streaming on YouTube and watch parties in Ocho Rios, Kingston, New York, Atlanta and Fort Lauderdale. 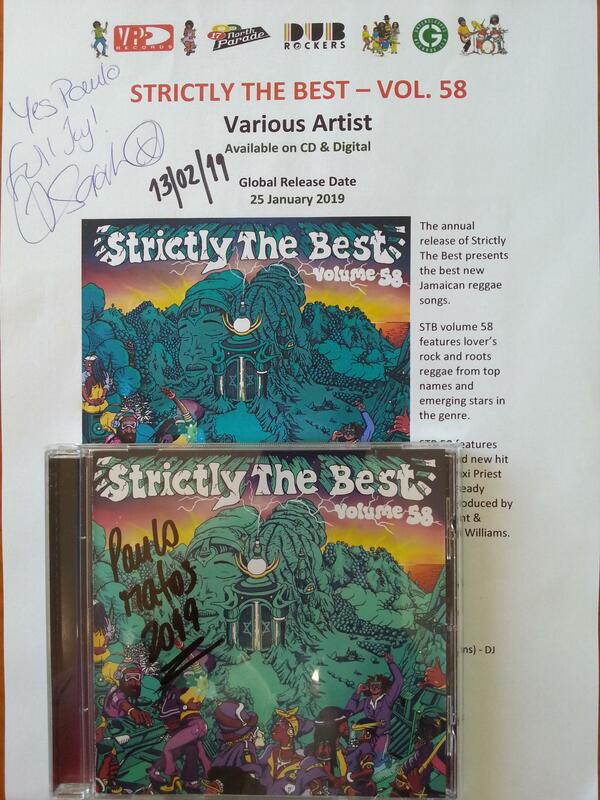 STB 58 presents the best in current roots reggae and lovers rock. Beginning the compilation is the magnetic hit “Contradiction” from the Italian Reggae titan, Alborosie, with a memorable feature from Chronixx. Maxi Priest is also featured with this latest hit “Rock Steady Love”, while 2017 Grammy Nominated band, Raging Fyah is featured with their 2018 single, “Rebel.” Also on the album is the new offering from Reggae legend Beres Hammond with standout track, “My Kinda Girl,” from his most recent album, Never Ending and Jah9’s health anthem, “Feel Good. STB volume 59 features dancehall and new flavors from top names and emerging stars in the genre. STB 59 features the exclusive hit “Come Back Home (Netflix & Chill)” by rising UK star Lisa Mercedes (feat. Shams The Producer). Opening the album, a refix from Vybz Kartel, finds him collaborating with Shenseea to update his 2017 song “Secret (Raw)”, followed by Dovey Magnum’s woman’s anthem “Good.” and VP artist Christopher Martin’s “Can’t Dweet Again.” Another standout track is “Really Want” by Estelle featuring Konshens and Nick x Navi. “Really Want” was released on Estelle’s Lover’s Rock Album which was released by VP Records in September. Strictly The Best highlights trending dancehall and reggae songs that are breaking or about to break. Launched in 1990 and leading off with Foxy Brown’s “Sorry (Baby Can I Hold You),” Strictly The Best reaches its 59th edition in 2019. 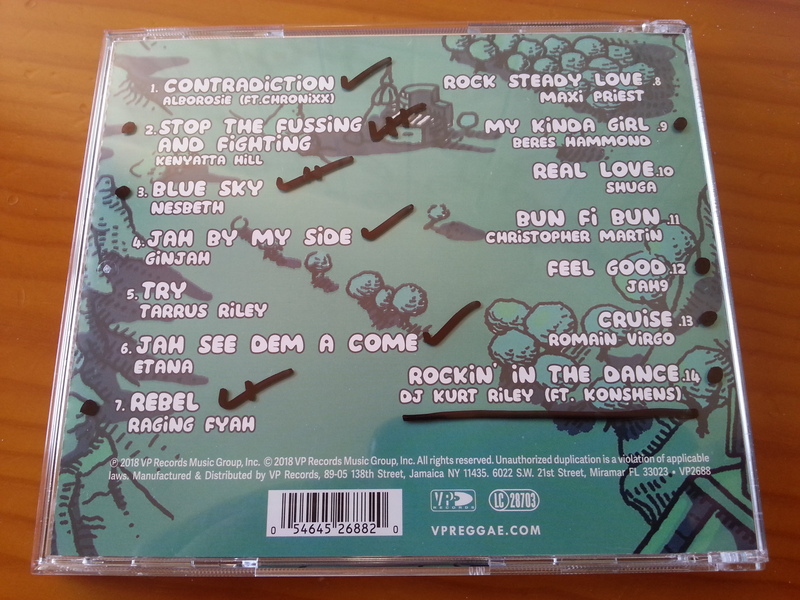 In recent years, alternate editions have focused on reggae and dancehall, respectively. The series exploded in popularity in its early years, featuring four editions in both 1992 and 1993. Inclusion on the set has been a coveted first step for emerging artists and a point of pride for established performers. The artists with the most songs included on the series are Beres Hammond, Beenie Man, Sanchez, and Mr. Vegas. The artist with the most Strictly The Best appearances: Beres Hammond with 26. More than 350 artists have been featured on the series to date. “We are very excited to launch and celebrate “Strictly the Best” this year as we also celebrate the 40th anniversary, said Christopher Chin, president of VP Records. “This compilation has become synonymous with the best of reggae/dancehall over the years and has surpassed just the music and has become a culture. There is no better way to begin 2019 then with this release and the exciting events to celebrate it,” he continued. Conscious Volume ! Great Compilation !